Recently on a snowy day, I was scrolling down social media lane. Now on my social media, I do follow CCP Games official EVE online accounts. And right at the top, there was a story from EVE Online. The story contained news about new merchandise, so I decided to click on it and visit the store. Within seconds I came to regret it. I immediately felt a surge of disappointment, for it did not contain anything of actual interest. After all those years since my last visit, it was still a disappointment. The last time I had visited the store might have been back in 2010. At the time it at least had some cool items available. But currently, it is mostly generic items that add little value to the hobby of the buyer. In this day and age of cosplay and social acceptance, especially surrounding gaming, a properly functioning merch store is a booming business. The prices of the items available are not too bad however the insane shipping costs are. Also, the lack of quality nerd or geek items, like ship models, or even lack of variety of the available items is just staggering. Any items worth to have as memorabilia would be hot items. Especially ship models which would add well to any gaming room. CCP, however, seems adamant on not providing players with quality merchandise for competitive prices. Luckily eve players are known to be some of the most resourceful gamers around. And have provided themselves with quality geek items like ship models. But all of this equates in missed revenue all because of CCP Games inability to provide decent merchandise. Revenue which CCP games could use for further development of their core brands. I am saddened to see a company waste such a potential source of income. But sadly it is what it is. I currently hope though that CCP will realize they need to jump in and supply gamers with what they want. In my case, a 3d printed archon model would do. Or you know what, let’s start with something small like the rookie ship models. Or at least the most popular frigate models. It should not be this hard to provide those. 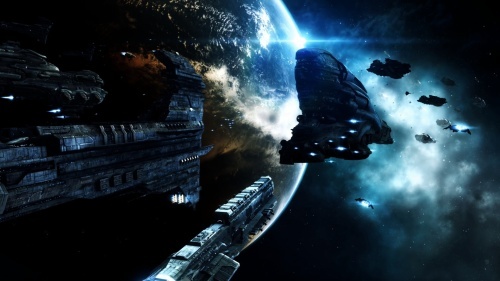 It, however, might be better for CCP to find a partner that could ship the current merchandise at more competitive rates. But with lack of action on that front, I might be forced to join the creative group and print an archon myself. It is just such a shame. Hello there! This post couldn’t be written any better! Looking at this article reminds me of my previous roommate! He constantly kept talking about this. I will send this information to him. Fairly certain he’s going to have a very good read. Thank you for sharing! What are the best totally free blogs that enable user-sponsored advertising as well as sales? Spot on with this write-up, I truly think this website needs a great deal more attention. I’ll probably be back again to read through more, thanks for the information! I’m impressed, I have to say. Actually rarely do I encounter a blog that’s both educative and entertaining, and let me tell you, you might have hit the nail on the head. Your concept is excellent; the issue is something that not enough people are talking intelligently about. I am very blissful that I stumbled across this in my search for something referring to this. Hello there! Quick question that’s completely off topic. Do you know how to make your site mobile friendly? My weblog looks weird when viewing from my apple iphone. I’m trying to find a template or plugin that might be able to fix this problem. If you have any recommendations, please share. With thanks! naturally like your web-site however you need to test the spelling on several of your posts. A number of them are rife with spelling problems and I in finding it very bothersome to tell the reality nevertheless I will definitely come back again.